One of the quickest ways to relieve tension, stress, and any unwanted energies from the body is to shake. Yes, that's right, the simple act of shaking your body can produce a multitude of health benefits. Although it may seem simple, it is a very powerful technique. Shaking is free, can be practiced by absolutely anyone and can be done anywhere at any time of the day. The main purpose of shaking is to relax the body and release tension. When we shake we are relaxing all our joints, muscles, tendons and ligaments, helping us to loosen up and feel relaxed. Shaking gently bounces our organs and stimulates our lymphatic system. Our lymphatic system is like our bodies draining system and is responsible for the removal of waste material from every cell in the body, in addition to regulating the immune system. Maintaining a healthy lymphatic system is critical if we want to be radiant and healthy. Shaking also benefits our circulatory system. In Yogic traditions it is said that with 11 minutes of shaking you can get similar benefits to 2 hours of aerobic exercise (cardio). Most of us hold on to a lot of tension in the body, especially around the neck, shoulders and back area. Poor posture, sitting on chairs and sofas for extended periods of time, stress and even negative thought patterns and emotional blockages can all contribute to the build up stress and tension in the body. We spend our days hunched over computers, our heads locked on to our iphone screens, then we go home and slouch on the sofa to watch TV for hours. Our fast paced stress filled lifestyles leave us feeling 'up tight' and most of us can never fully relax. If we allow this tension to build up in our bodies if can manifest itself as pain, stiffness, inflammation and disease. 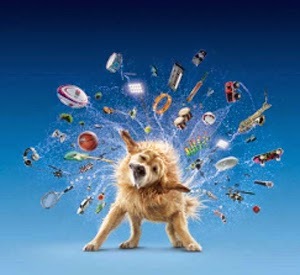 When we observe dogs we see that they often shake themselves many times throughout the day. Certainly, dogs will shake themselves off after coming out the bath or getting wet but dogs will also shake vigorously as a stress release mechanism. If you ever see a dog come out of a confrontation with another dog or animal, perhaps even after a fight the dog will shake itself off. 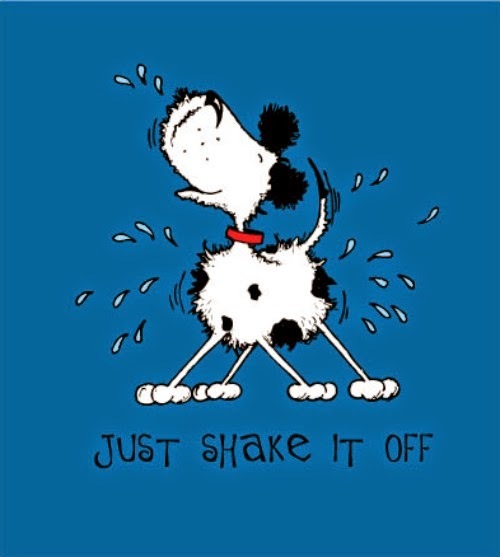 Shaking is like a 'reset button' and it allows the dog to get rid of the unwanted negative energy it has picked up. If you have a dog you can observe when your dog does this. Animals always have something to teach us. One of the best times to practice shaking is first thing in the morning. As we have been sleeping and not moving our bodies all night it is important to shake your body in the morning, preferably before breakfast. Shaking is a revered practice in Qigong and many other martial art practices. I personally shake multiple times per day. It is a great pre-work out warm up and I even shake between sets at the gym to help my muscles stay relaxed and free from tension. If you are feeling like you've picked up some unwanted energy from someone, if you have had a stressful day, or if you feel like you need to re-set your system and receive a huge boost of energy then shaking is your friend. The more time you spend shaking the more benefits you will get. At first shaking even for a few minutes can be very powerful. As you practice more you can work your way up to shaking for 11 minutes. Why not experiment and shake for an hour? It's important to remember to breathe whilst you shake. Keeping your breathing relaxed and steady will help you to release the tension and loosen up your body even further.